This often requested family favorite appetizer shows up at most of our holiday gatherings. It comes together quickly in the Instant Pot and offers delicious flavor thanks to the simple homemade sauce. 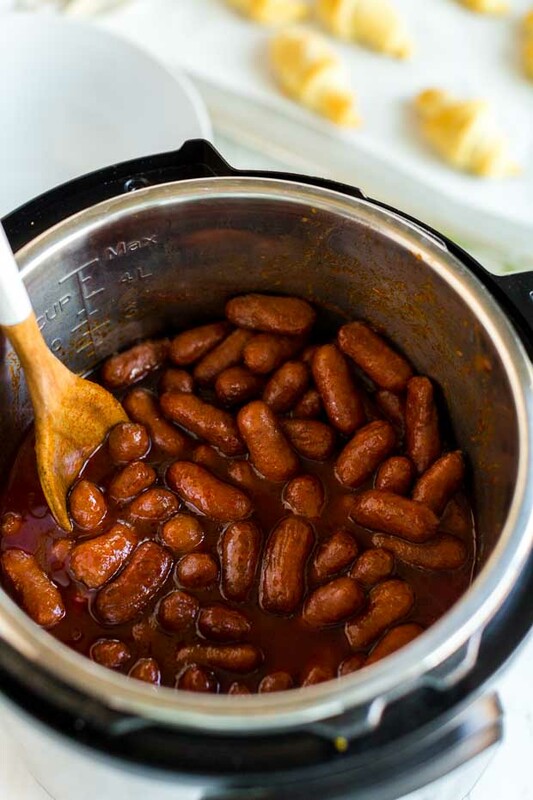 If you’re planning a party or a get together with family or friends, I love pairing these Little Smokies with an appetizer menu that includes cream cheese dip and buffalo chicken meatballs. Food is a love language in my family. Time spent in the kitchen together preparing meals and then around the table enjoying those meals are some of my favorite ways to show my love and create memories. Whenever we’re headed to a get together, someone always asks for me to bring a special recipe. I think it’s a hazard of my job. 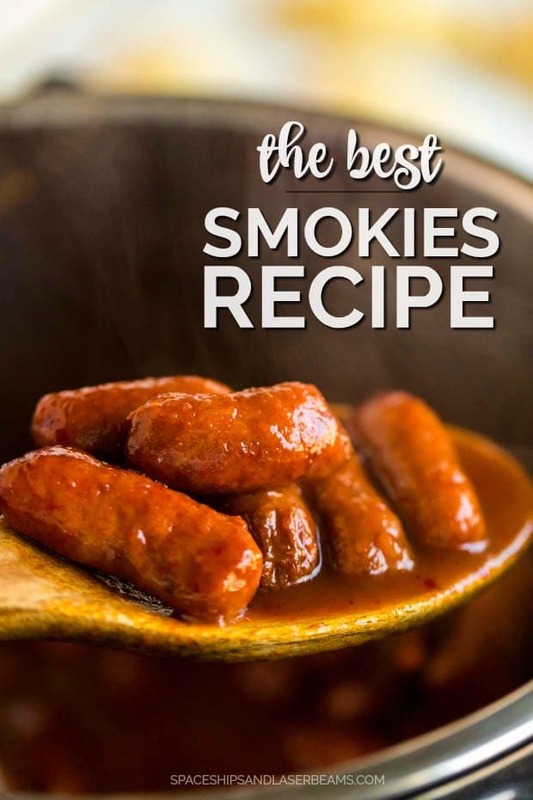 I’ve found that this lil smokies recipe is one that everyone loves. And as a busy mom, I love how easy it is to make! You only need four ingredients, 20 minutes and an Instant Pot to make the magic happen. Shall we begin? First up, you’ll grab your favorite cocktail links. You’ll also need chili sauce, pineapple juice and brown sugar. That’s it! You will be amazed at how flavorful this homemade sauce is. I could eat it with a spoon it’s so tasty. In a the bottom of Instant Pot, whisk together chili sauce, pineapple juice and brown sugar. Then add the cocktail links and toss to coat with sauce. Press manual and adjust time to 20 minutes. When the timer goes off, quickly release the pressure. 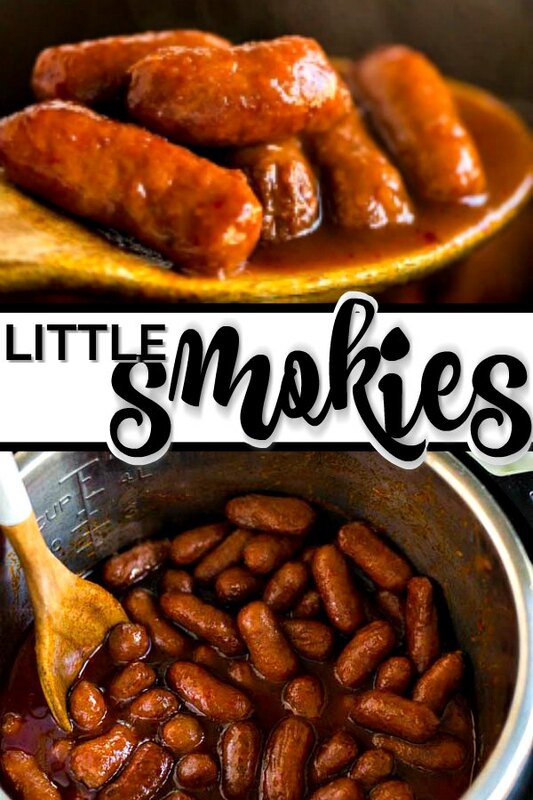 What Can You Make with Lil Smokies? Serve with croissants or by themselves. If you’re serving these at a party, you might want to double the recipe. In my experience, they go quick. I’ve also kept these warm at a party in a crockpot, which works well. When I’m serving for dinner here at home, I make mashed potatoes or mac and cheese to go along with them. We’ll eat a caesar salad along with it for a delicious and simple meal. Our whole gang loves how flavorful the easy sauce is. I love serving a meal that I know they’ll enjoy so much. And it’s so simple to make! These lil smokies are a huge win in this mama’s book. I hope you’re able to enjoy favorite recipes with those you love this holiday season. And find moments to create special memories, as well! This easy and quick homemade recipe is a favorite appetizer for us! 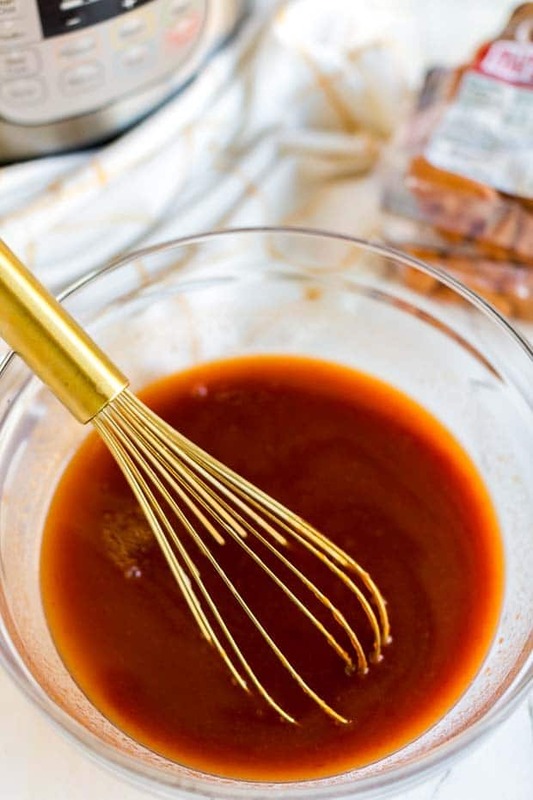 In a the bottom of Instant Pot, whisk together chili sauce, pineapple juice and brown sugar. 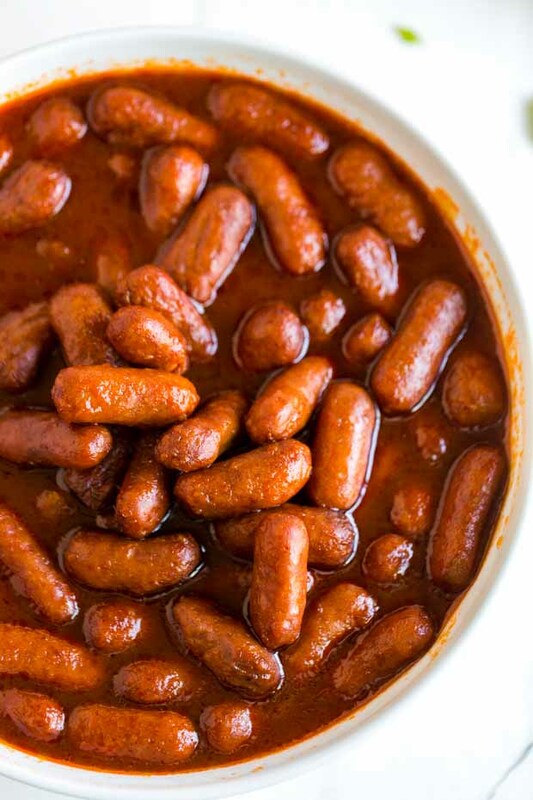 Add Lit’l Smokies and toss to coat with sauce. Can this be made in a pressure pan? I’m sure you could. I haven’t done it specifically that way – only in the Instant Pot. Good luck, I hope you enjoy them! What kind/brand of chili sauce do you recommend? Love these in my insta pot and I usually serve them with croissants. Super tasty and filling!